It’s crazy to think that a meal at Masa in NYC, which costs ~$595 a person pretax, is comparable to the cost of a round-trip ticket to Europe somewhere. I’m not quite convinced that one meal, no matter how good, would ever be equivalent to a transcontinental getaway. 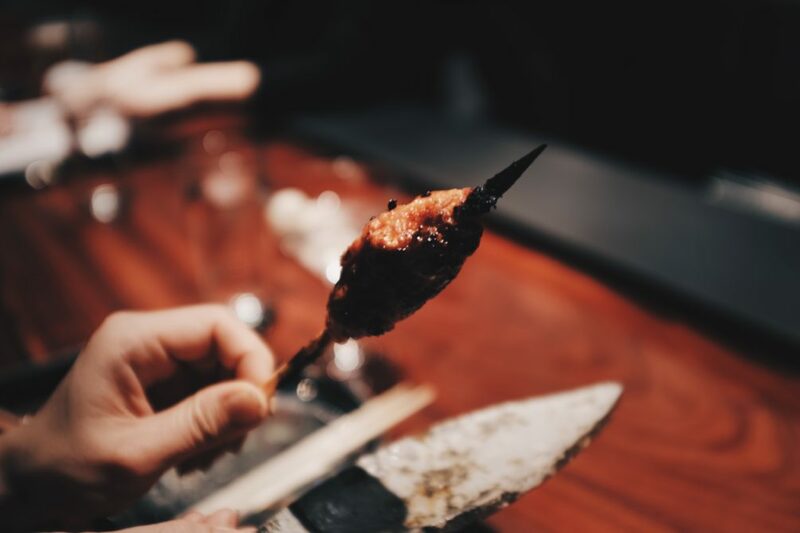 Those of us priced out of Masa will never find out if the food there is worth an arm and a leg, but what we can do is go to its more accessible sister restaurant Tetsu, a Japanese robata newly opened in Tribeca, where dishes are comfortably priced in the single or double digit range. 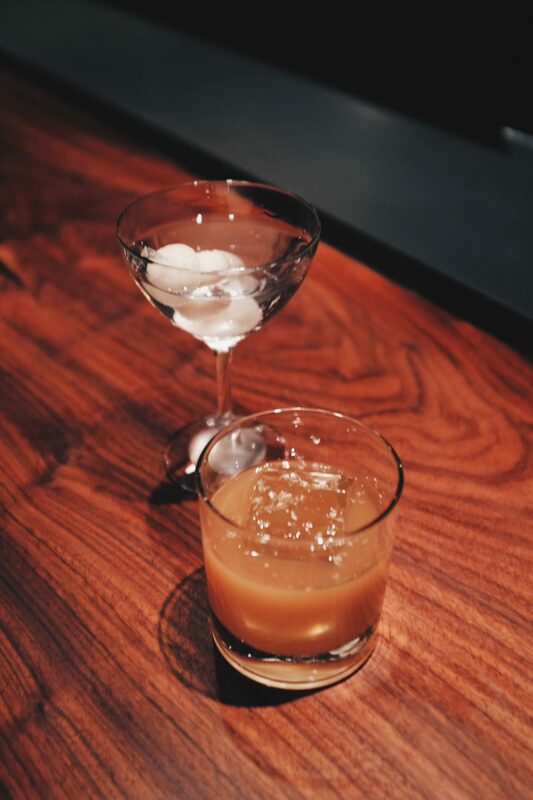 I’ve never been to Chef Masayoshi Takayama’s other restaurants so I wasn’t entirely sure what to expect, but Tetsu felt like something out of Vegas. 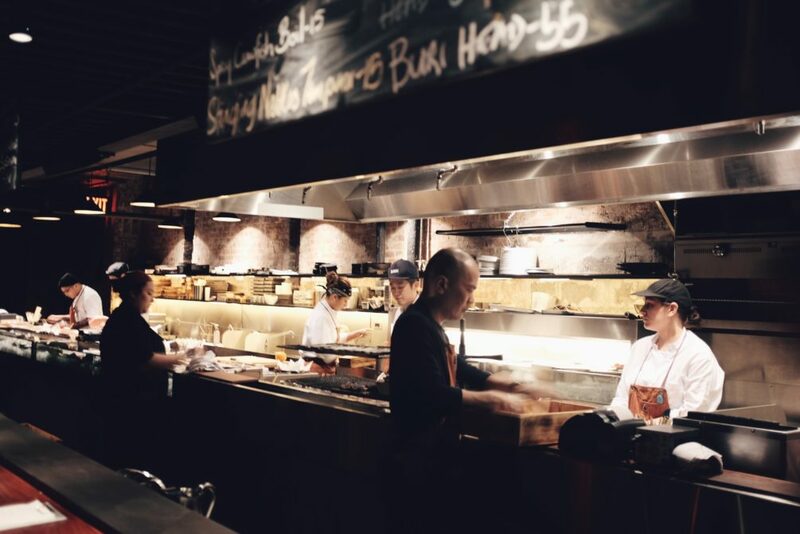 It’s big and flashy, where raucous diners sit at high-tops or communal tables in full view of the theatre of flames and food prep that’s taking place in front of them while Ariana Grande blares from the speakers. Things were so loud and the music was so tacky that I was afraid I had stepped into a nicer Benihana rather than a Michelin star chef’s grill fire restaurant. But the food at Tetsu is definitely very much Michelin and not hibachi chain hell. 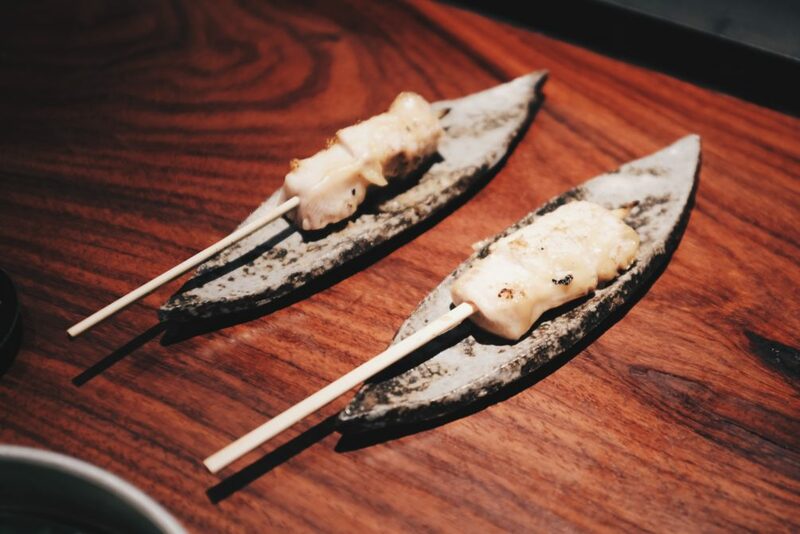 I was absolutely floored by the grilled yellowtail tataki, which melted in my mouth in a pool of miso butter gold, and I immediately regretted not having ordered more from the special catches of the day. It was a hard act to follow, which is why I merely liked rather than loved the sweet and crumbly chili pork sausage skewers. 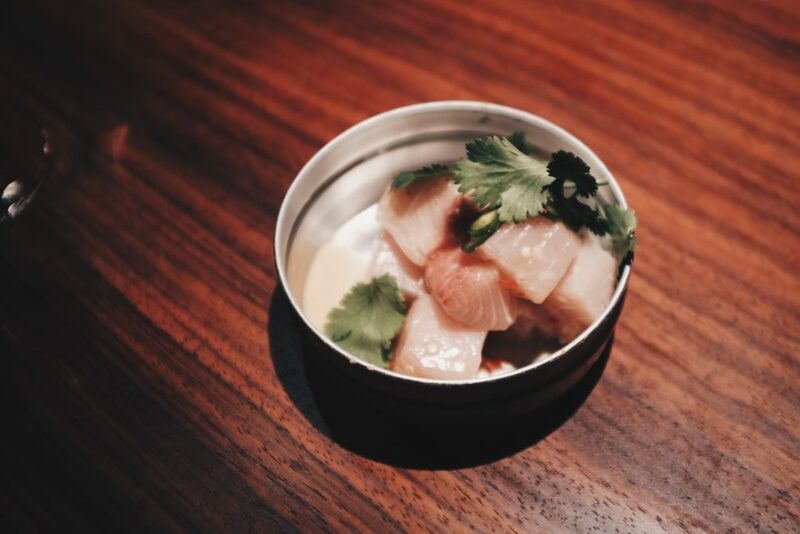 Chef Takayama is a sushi rockstar, so there was no doubt that the hamachi serrano dish would be nothing short of fabulous, but he has a broad reach that goes beyond sushi. 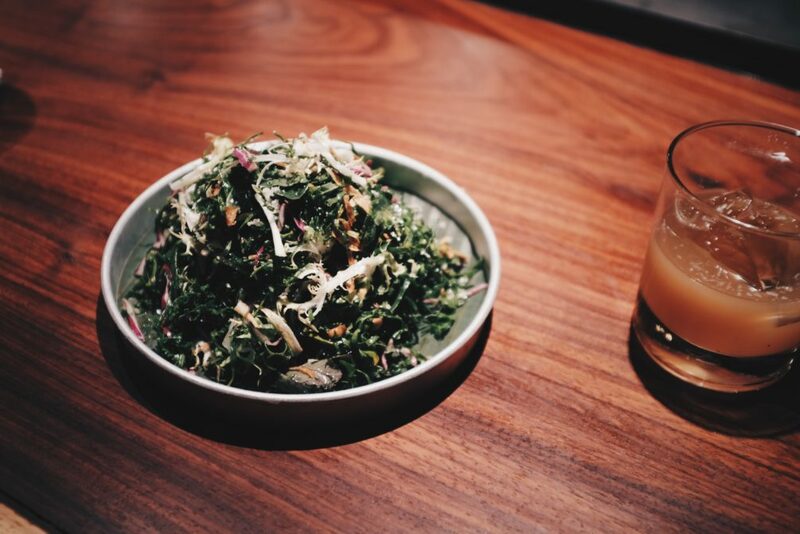 He’s even able to elevate seemingly ordinary dishes like a kale gobo slaw as a very extraordinary salad, which was one of the biggest and most pleasant surprises of the night. 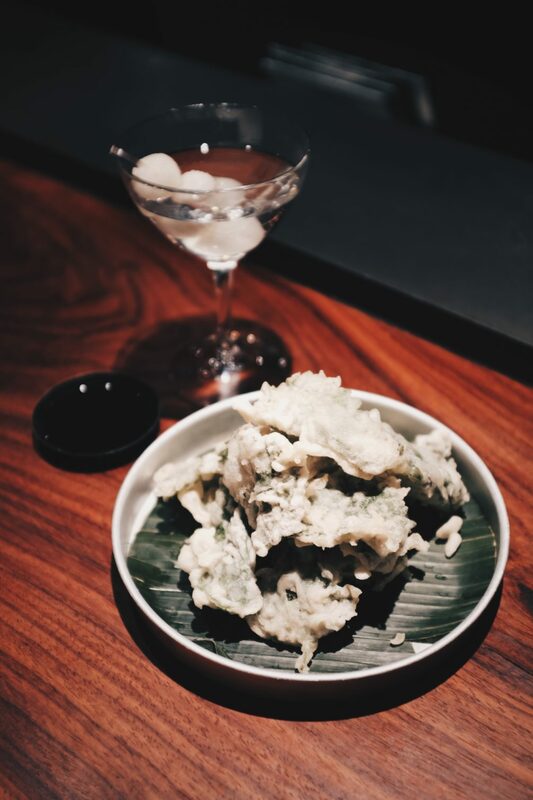 There were very few things that I wouldn’t order again, like the stinging nettle tempura, which tasted too much like batter. Otherwise, there’s nothing this man can’t do–raw, cooked, seafood, meat, it all tastes good. 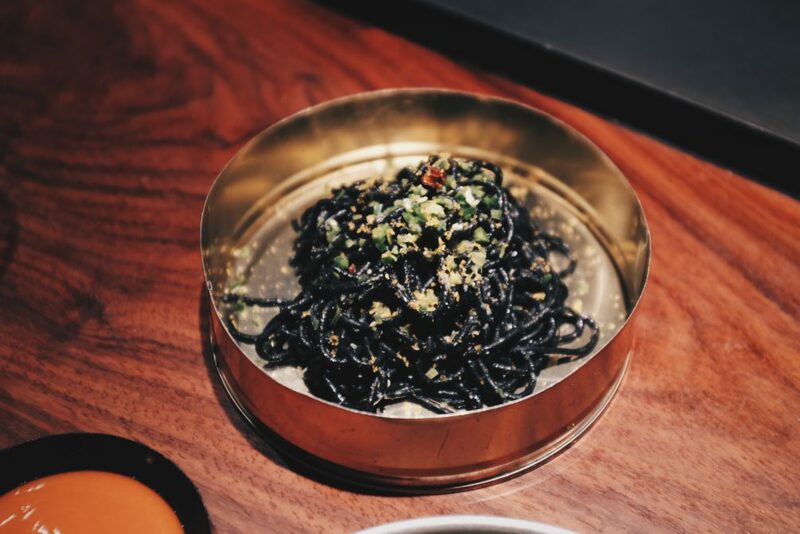 I was very happy with the skirt steak, although the spicy sauce that accompanied it was a tad too piquant, and I was equally overjoyed with the ink pasta, which was distinctively al dente and springy like edible black rubber bands. You just knew that the hits would keep coming and that even the desserts would be good, and of course the grilled olive oil cake with marscarpone yuzu cream didn’t disappoint. 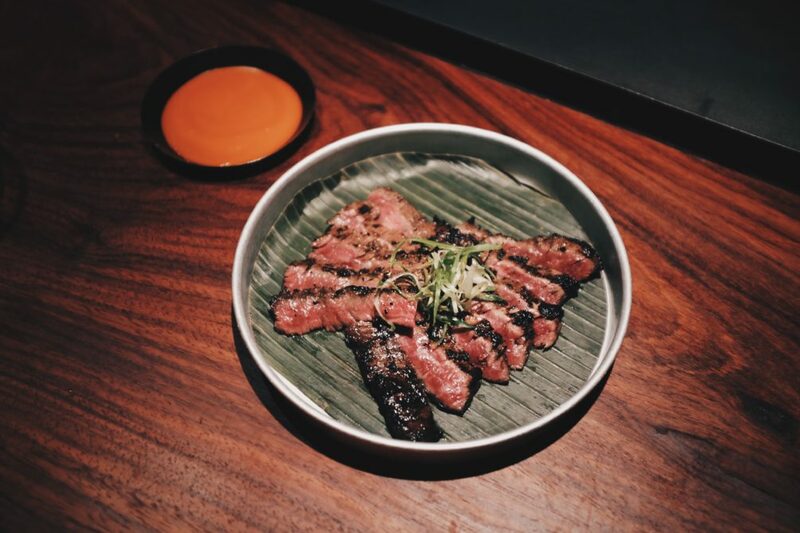 While I wish the atmosphere at Tetsu were a little more interesting than a Vegas nightclub, there was nothing to complain about when it came to the food. Chef Takayama is a 3 Michelin star chef for a reason, and those stars shine equally bright up high at the priciest peaks and down low at the more affordable levels.